Magnetic or electromagnetic therapy use of the electromagnetic energy to regenerate and re-polarize the cell membranes. Bio-regenerating action, anti-inflammatory, anti-edema and analgesic. Creation has over time developed the know-how and all the hardware and software technologies to develop and produce equipment for Electromagnetic therapy (short-wave therapy). One of the equipment for the electromagnetic therapy developed and produced in ODM / OEM with technology Ennebi Electronics is Di Plug. La Magnetoterapia (o elettromagnetoterapia) è una forma di fisioterapia che utilizza l’energia elettromagnetica. Si tratta di una cura efficace, sicura e non invasiva. I numerosi campi e numerose modalità di applicazione tendono alla regolarizzazione dell’equilibrio elettrochimico della cellula e al restauro della corretta permeabilità della membrana cellulare. A questo fine le zone interessate da patologie muscolari, articolari, ossee e tessutali in genere, durante le sedute di elettromagnetoterapia vengono sottoposte a irradiazioni mirate. The Magnetic (or electromagnetic therapy) is a form of physical therapy that uses electromagnetic energy. It is an effective cure, safe and non-invasive. The many fields and several modes of application tend to stabilize the balance of the electrochemical cell and the restoration of the proper cell membrane permeability. To this end, the areas affected by muscular disorders, joint, bone and tissue in general, during the sessions of electromagnetic therapy undergo radiation targeted. The magnetic fields of the equipment used for the magnetic interacting with cells promoting the recovery of the physiological conditions of equilibrium. 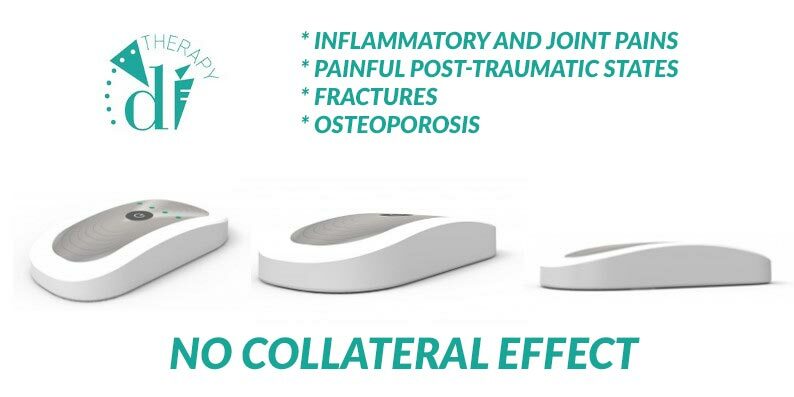 The Magnetic therapy is particularly indicated in cases where it is necessary to stimulate tissue regeneration after damaging events of various nature. Magnetic therapy is contraindicated for people with pacemakers pacemaker and electronic equipment as it may interfere with them, and according to the practitioners would be contraindicated in the presence of neoplastic diseases, because it would accelerate the development. high-frequency, also known as magnetic radio frequency, is based on the emission of radio waves of frequencies between 18 and 900 Mhz in short pulses, the frequency of which is adjustable. Proponents argue that these radio waves have the ability to enhance the immune response of individual cells, helping them to find an appropriate “balance.” Moreover, again according to them, and without those results have been demonstrated in the scientific literature, the high-frequency magnetic therapy fluidificherebbe the blood, improving circulation, and alleviate the inflammation. One of the most important advantage of this therapy is the total absence of collateral effects.